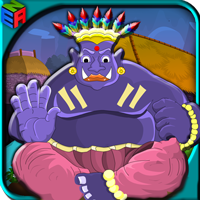 Description: 1972nd-TRIBAL HAMLET is an normal escape game poweredby ENA Game Studio. Presume a situation there was a robbery in a museum, 20 objects were stolen. Bruter went to tribal house which is located in forest area, where the thief hide the statue. This place looks something different so Bruter need your help to find the statue from that place.Have fun on playing escape games.